Teacher gift idea. 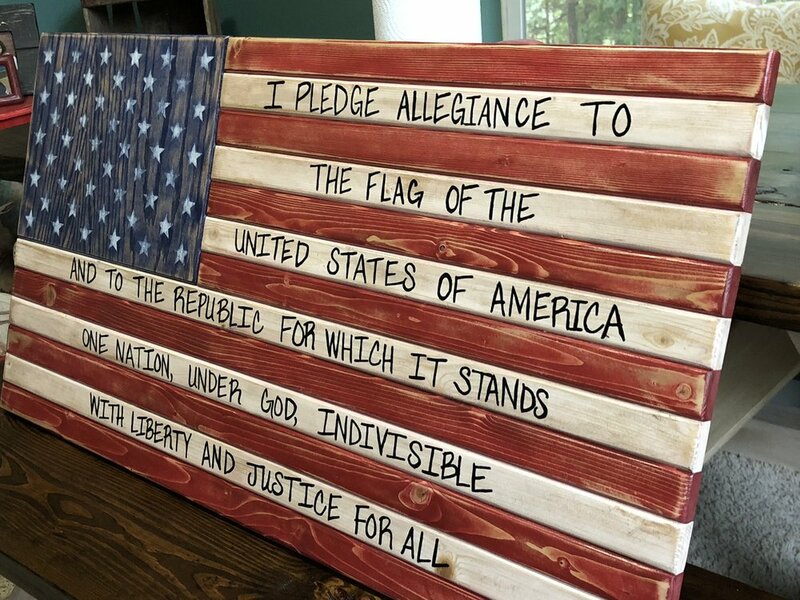 (Video below) This is an American flag made out of wood with the Pledge of Allegiance hand painted on the stripes. This would look great in the classroom! My wife added the lettering. 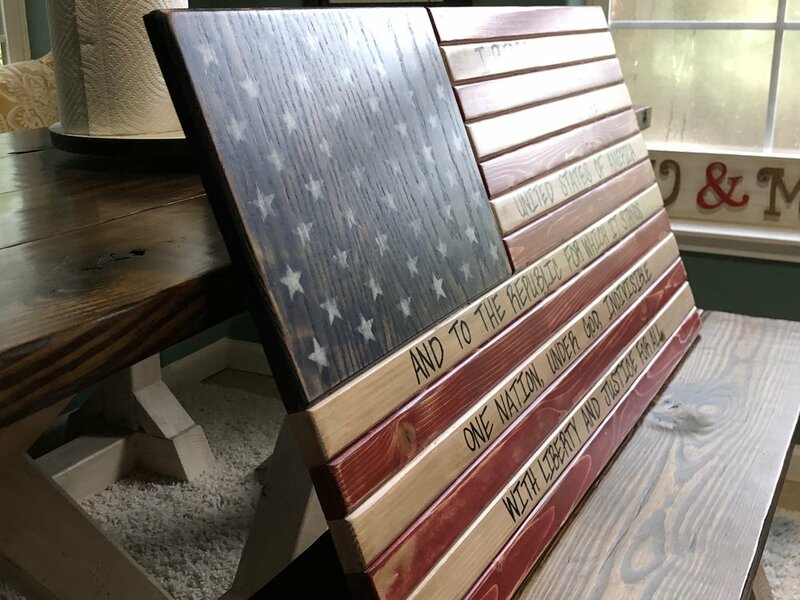 Building an American Flag out of wood makes a great teachers gift idea. You can also use them as a gifts for police officers, firemen, military or more. These flags make great office decor ideas as well. 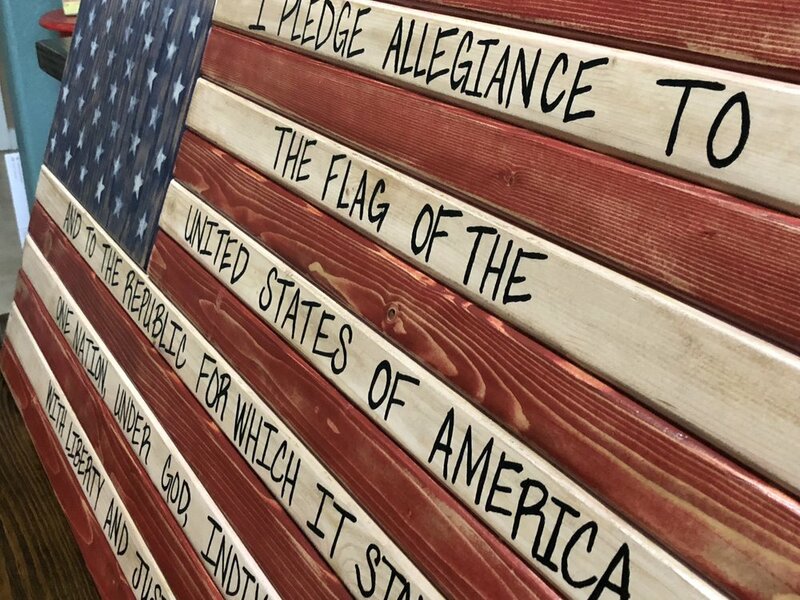 I make these flags out of spruce wood. 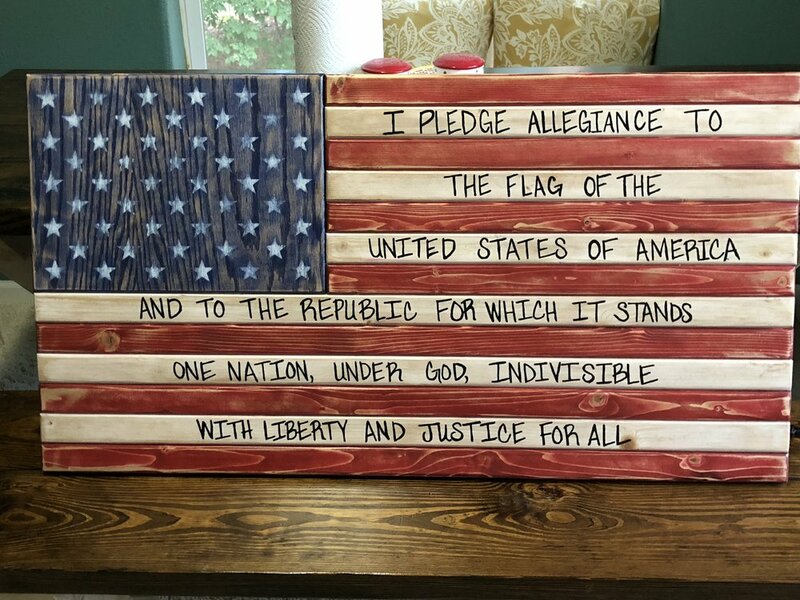 I use red, white and blue water based stain for the colors. The stars are painted using a stencil (see link below) and flat white spray paint. You will get a little over spray from the paint if you are not very careful. 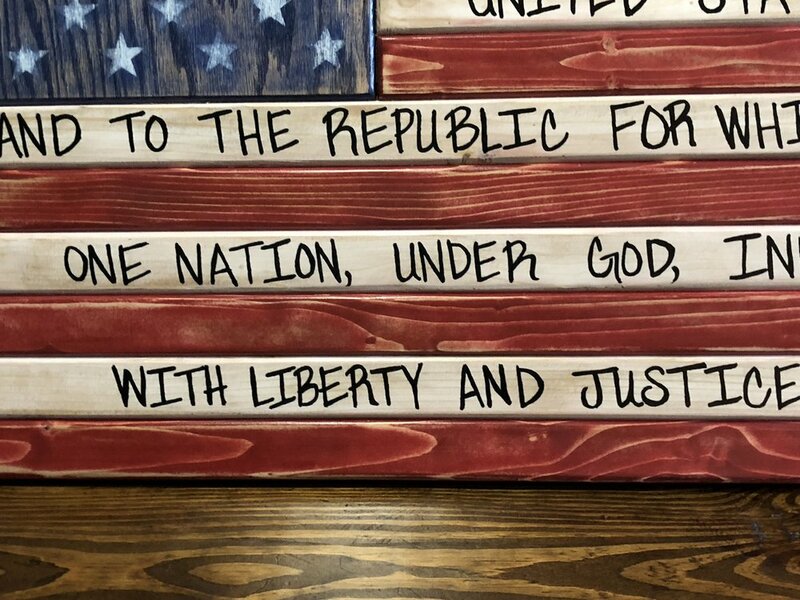 This is where distressing the flag helps. Check the links below (affiliate links) for supplies and tool used in this build. You can purchase a flag from us by using the links below as well. Flags are made to order so if you wanted a different style or color, message us before ordering. You'll need 4 1 1/2" strips for the back running vertical to hold the flag together. These are cut 18 1/2" long. I use glue and brad nails to attach them to the back. The hanging hardware is attached to the outer 2 vertical strips. Stains used in this build are from Sherwin Williams. I just had them mix me red, white, and blue stains.